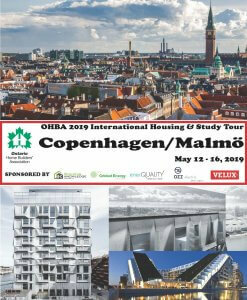 OHBA is very excited to announce this year’s International Housing Study Tour destination: Copenhagen/Malmö! OHBA will be travelling with a small group of builder and developer members to Copenhagen and Malmö with a strong focus on modern architecture, energy sustainability, urban planning and active transportation within complete communities. This will be a once-in- a lifetime opportunity to take in the culture of these two fantastic Danish/Swedish cities, while connecting directly with the most innovative and leading edge residential construction sites. 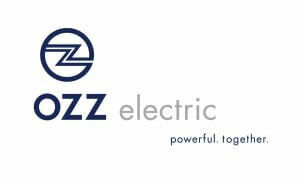 We are pleased to be joined by partnering sponsors: EnerQuality, Building Knowledge Canada, Cricket Energy, Ozz Electric and VELUX. The four-day tour will feature local guides, meetings with housing, planning and building officials, architectural walking tours, development site visit and an evening boat cruise on Copenhagen’s famous canal. 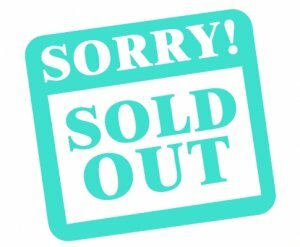 Sorry- the 2019 OHBA International Housing and Study Tour is SOLD OUT! OHBA has arranged a room block for four nights at the 71 Nyhavn Hotel in Copenhagen and, a one-day private bus trip over the Øresund bridge to Malmö, Sweden. OHBA is not arranging airfare as we anticipate a number of members will prefer to arrive a couple of days early or remain in Europe following the tour. 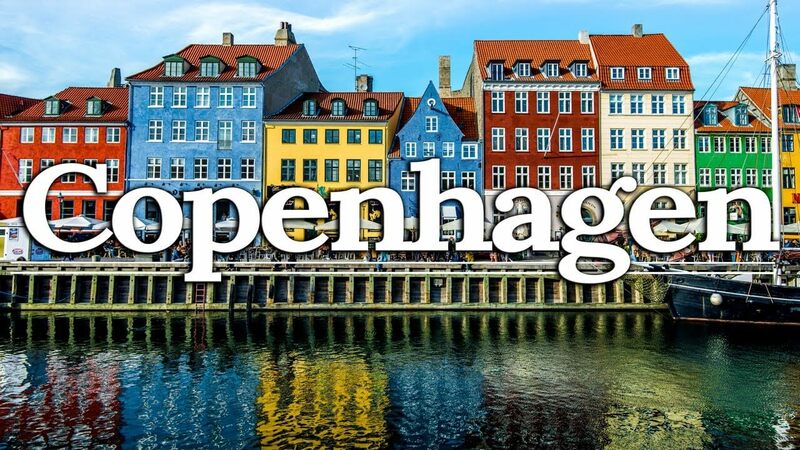 OHBA recommends members book their own flights to arrive in Copenhagen by the afternoon of Sunday, May 12 to join the group for a welcome and orientation dinner Sunday evening. Members should arrange their own departure from Copenhagen anytime on Thursday, May 16. Please note: Members may wish to arrive a day earlier to get adjusted to the time difference as we have an action-packed tour planned. NOTE: Itinerary subject to change. Please be aware that there is a fair amount of walking on this tour (i.e. on cobblestone roads over a continuous amount of time). Bus departs for Malmö, Sweden. Don’t forget to bring your passport! Please click here to view the tour cancellation policy. Registration will be taken on a ﬁrst-come, ﬁrst-served basis up to a maximum of 20 members. Four nights accommodation at the 71 Nyhavn Hotel. Evening dinner cruise of Copenhagen’s canals. Four breakfasts and four dinners.